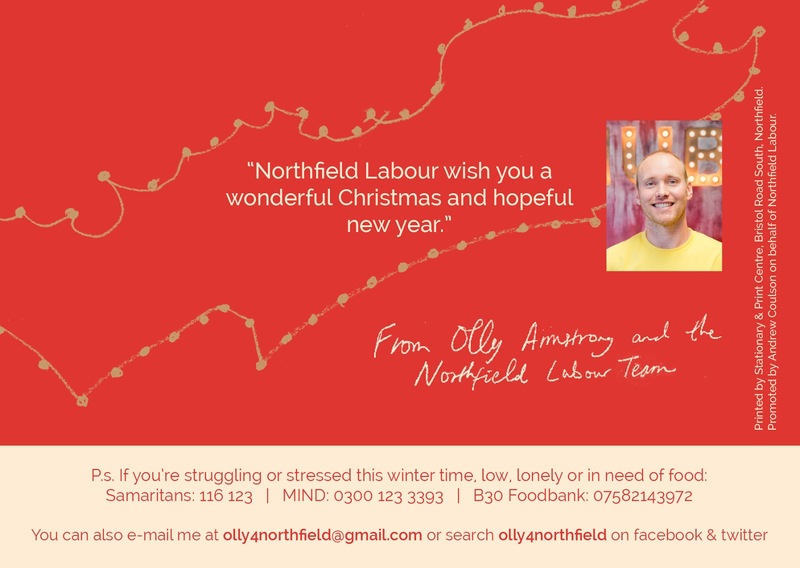 As a continuation of his work in Northfield with NAF, Number 11 Arts and more, Olly delivered thousands of these illustrated postcards as part of his campaign as newly-announced Labour candidate for the ward. The design felt relevant in this context in representing how different people may support the Labour Party candidate in their community for lots of different reasons. 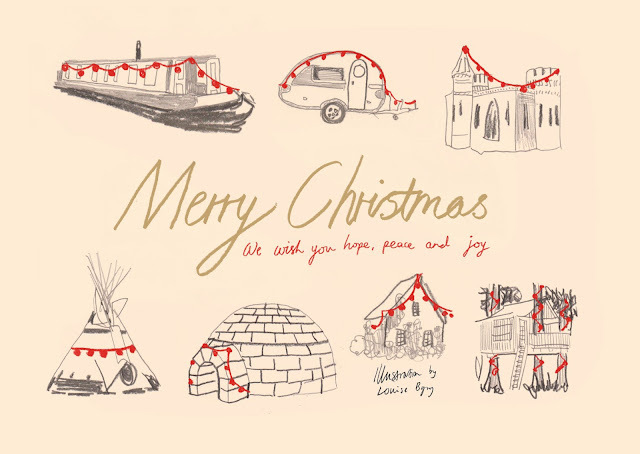 The reverse side has details for Samaritans, MIND & B30 food bank for anyone low, lonely or needing food in his constituency this Christmas, and I've added some Christmas decorations in the shape of the new Northfield ward boundary to give residents a sense of togetherness and community pride.